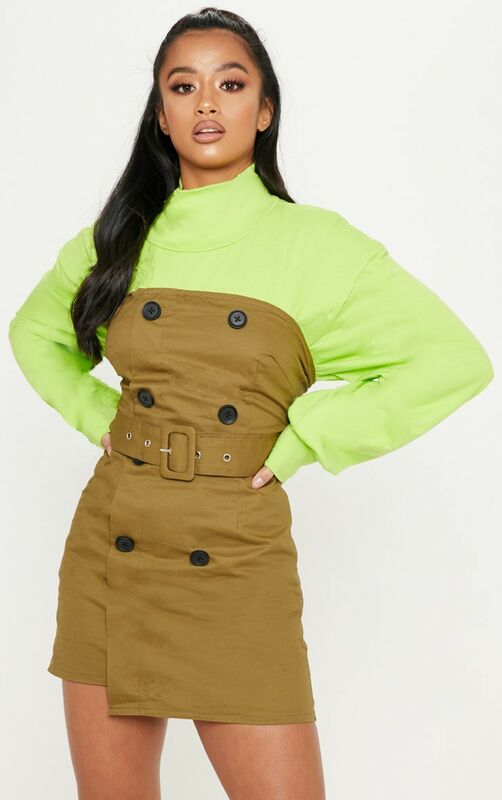 Take your look up a notch with this must-have trench dress. 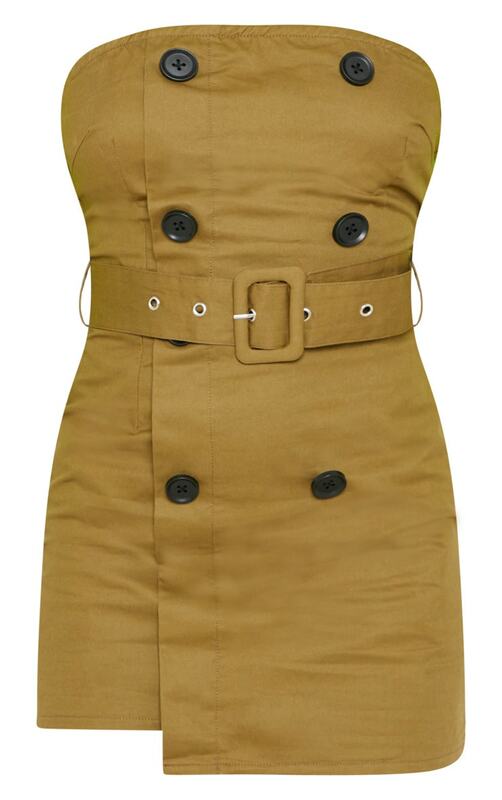 Featuring a khaki material with a button fastening and a belt detail. Team this over a sweater and complete the look with some fresh kicks for a look we are loving.